You have not heard from me for a long time. My local friends know why. I have been totally involved (cast selection, directing, producing, marketing, backstage preparation, etc.) 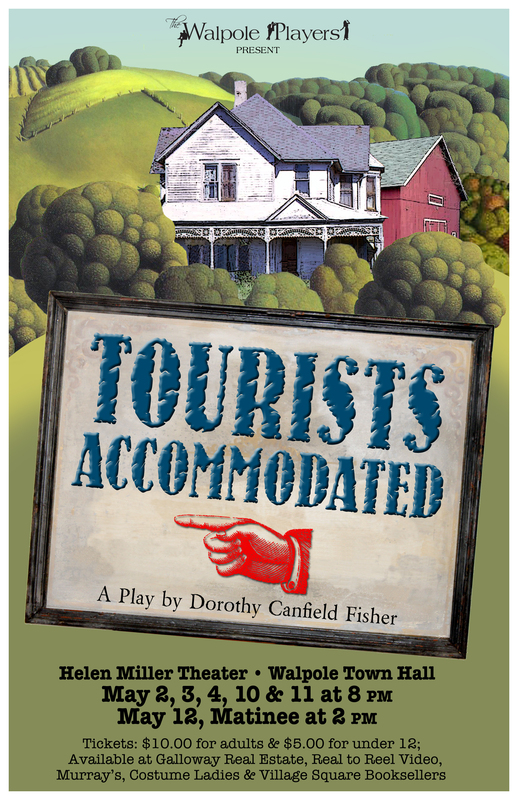 with the spring Walpole Players’ production of TOURISTS ACCOMMODATED (a play I was aware of, and volunteered to bring to our stage). The past three nights we entertained just over 200 “tourists” and if you are nearby you can join us this coming weekend. Full details are on The Walpole Players website and I will be happy to hold tickets for you. Reopens 25 May – no gas today! favorite country roads), and detoured on 100A to Plymouth Notch my favorite picnic spot, and the most bucolic setting in the world – Calvin Coolidge’s home and site of his swearing in as President, then back to VT 100 up to Killington (been a long time since I was there) and then to Stockbridge. 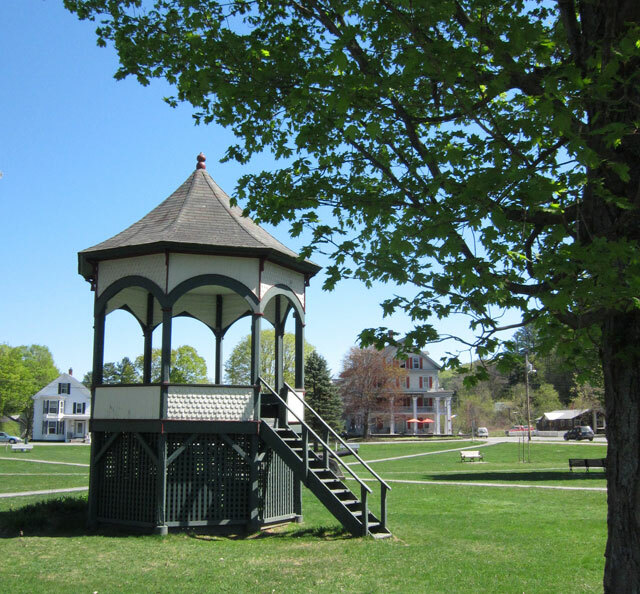 Now, you know the importance of Stockbridge, Massachusetts and The Red Lion Inn to me, but Cathy and I had several wonderful trips to Stockbridge, Vermont visiting an antique shop in the late 1990s. The leaves were unbelievable and the 80 plus year old shop owner a delight (across the way is the site of a country Ford dealership – since 1913, absolutely unreal setting). 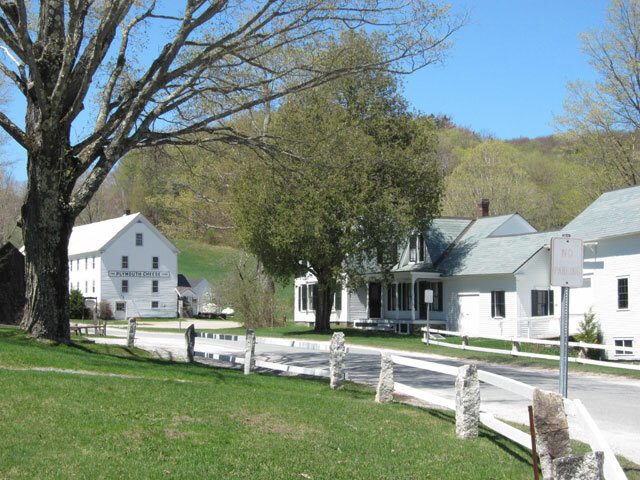 Peaceful Plymouth Notch, VT with Calvin Coolidge’s home and site of his swearing in. 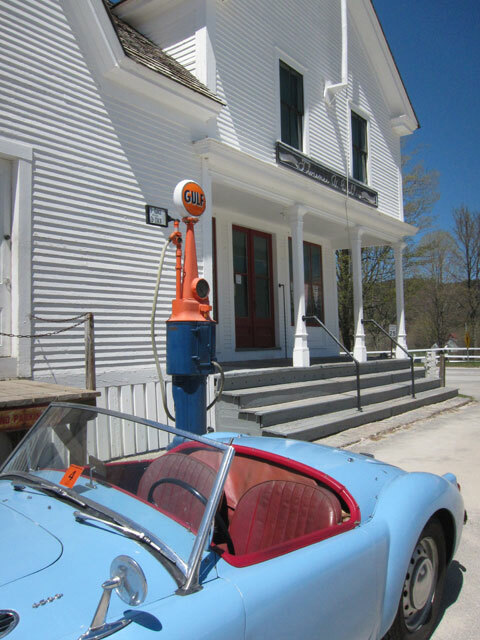 Then BLUE BELLE decided to head over VT 107 to Bethel (where I had never been – neat town) and down to South Royalton (home of the Vermont Law School, and worth the visit to see the architecture) on VT 14. I pined for a root beer float, but in the small coop grocery selected an original Eskimo Pie and Blueberry Soda. I enjoyed them while sitting atop the bandstand on the common. I sat in this bandstand with my ice cream and blueberry soda. And, this is looking back at downtown South Royalton, VT.
Then we backtracked to VT 12 South to Woodstock to pick up VT 106 South through South Woodstock and Reading (yes, Carol and David, I swung by your estate, but not seeing any activity – you should have been in the yard working – I did not stop). The idea was to pick up VT 131 to cut back to New Hampshire, but then I remembered (and told BLUE BELLE) that I had not been south of 131 on 106 and had to find The Weathersfield Inn in Perkinsville. 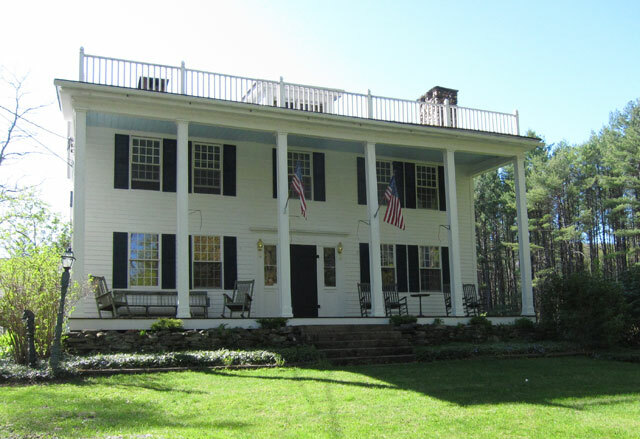 The Weathersfield Inn – I cannot wait to try it with my friends – hint !!! So that is what we did. You know I am still in tears with the closing of Rowell’s Inn (where everyone knew my name) and I am struggling with finding a new special spot. I have read many wonderful articles about this inn being the best in Vermont (Fodor’s, etc.) and I found it on VT 106. Ironically it is the same distance and travel time as Simonsville, VT the location of Rowell’s Inn. I cannot wait. Any volunteers to join me?? Once TOURIST ACCOMMODATED is over, of course. This entry was posted in Day (or maybe two) Trips, Uncategorized. Bookmark the permalink. Sounds likes wonderful trip. Dave grew up in South Royalton and Iwas just up 110 in Tunbridge. Since you missed Tunbridge you will just have to go back! Hi Ray. We had a skiff of snow again yesterday but today it is gone, except the winter build up that is still here. It is May, Holy Cow. Your pictures are beautiful and seems like a world away. at the bakery and it all sounded wonderful. Great outing and hope we have more travels soon.